fixed header add functionality of fixed headers (top menu bars) to both site front end and admin. at front end it will be a great experience to customers.benefits at front end are as below. 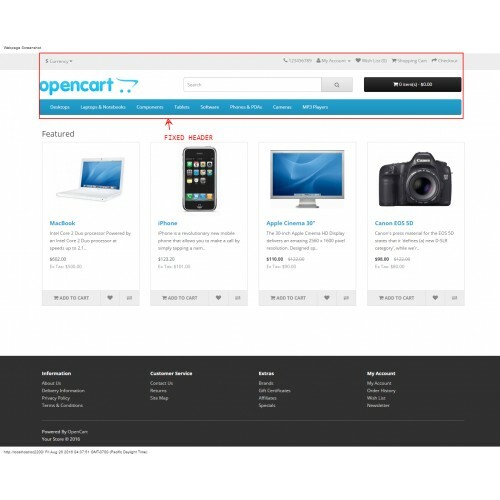 3.easy to watch cart status - no of items and price. at admin site it will be easiar to perform save ,delete,cancel actions for all the pages. easier for him to click add button. 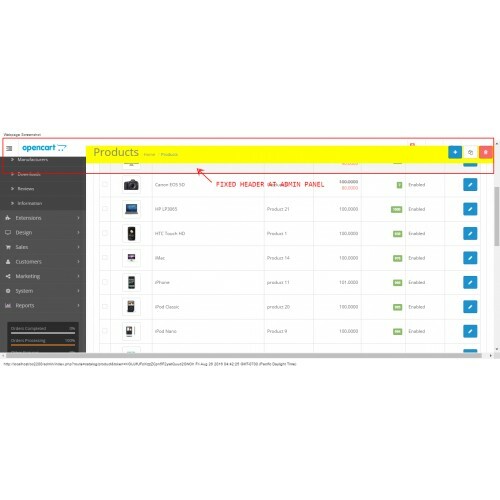 after adding product its easier to save or cancel.also easy to use left menu in admin panel.